College is an awful time to get sick. You’re miles away from your family doctor, and for the first time in your life, your parents aren’t there to spoonfeed you Robitussin and check your temperature. The day you leave for college, your mother signs you up for CampusMD. You tell her that you can take care of yourself, but there’s no point in arguing. As you’re packing for school, your mom offers to buy you a year’s worth of CampusMD. You refuse — after all, you survived the flu on your own last year — so she hands you a bin of miscellaneous medications instead, which you stow under your bathroom sink and forget about. The Chipotle you ate last night has come back for revenge, and you’ve been on the toilet for two hours. This is the worst case of the Hershey squirts you’ve ever had. Your face is red; you’re sweating profusely. You wince as your stomach tries to punch its way out of your abdomen. You stumble to your bedroom on wobbly legs and grab your iPad, making it back to the bathroom with barely enough time to spare. 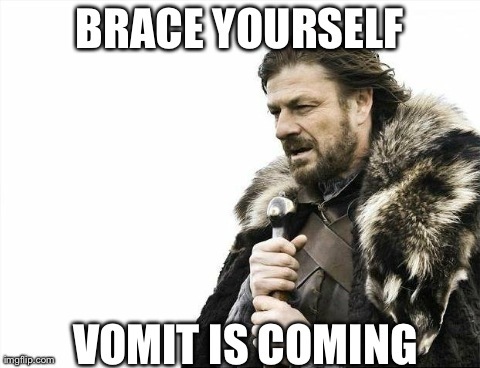 You open CampusMD and wait to connect to a doctor while vomiting in the trashcan. You knew that the guacamole tasted funky, but you ate it anyway. This is your punishment: you’ve been spewing hot lava for hours with no end in sight. Then, suddenly, your mouth gets watery. You grab the can next to the toilet, and before you know it you’re leaking from both ends. You try calling your mother, but she’s sleeping. Your roommate is gone for the night. The campus health center is a mile and a half away — you’ll never make it there without soiling yourself. Oh god, you think, This is where I’ll die. It’s now past midnight, and you’re videochatting with a physician through CampusMD. You explain your symptoms in between grunts. Placidly ignoring the fact that you’re calling from a bathroom, the doctor tells you that you have food poisoning. He recommends a home treatment to get you through the night, writes you a prescription and even sends you a note so you can skip class the next day. You breathe a sigh of relief. Crisis averted. It’s now past midnight, and you are suffering alone. You drag yourself off the toilet and crawl to your medicine bin, but after rummaging around for a few minutes, you find nothing that can help you.